H & H Blog — Holland & Holland, Inc. This blog page will be updated with information on jobs, articles on the company and community involvement. April 23, 2014 Holland & Holland, Inc. Please enjoy the video we made of the presentation of the award on the field on April 15, 2014. Clay Holland (Owner and President) and Keith Holland (Job Superintendent) were both on the field representing Holland & Holland, Inc. Included in the video is the presentation of the award and a picture slideshow from the game. Some other employees are featured: Darrell Barnett (Journeyman Plumber), John Schoenlaub (Journeyman Plumber), Beulina Key Holland (Co-Owner, Secretary/Treasurer and Office Manager) and Beth Holland (Marketing Manager/Office Administrator). Please note, black line on video came from the glare on jumbo tron. 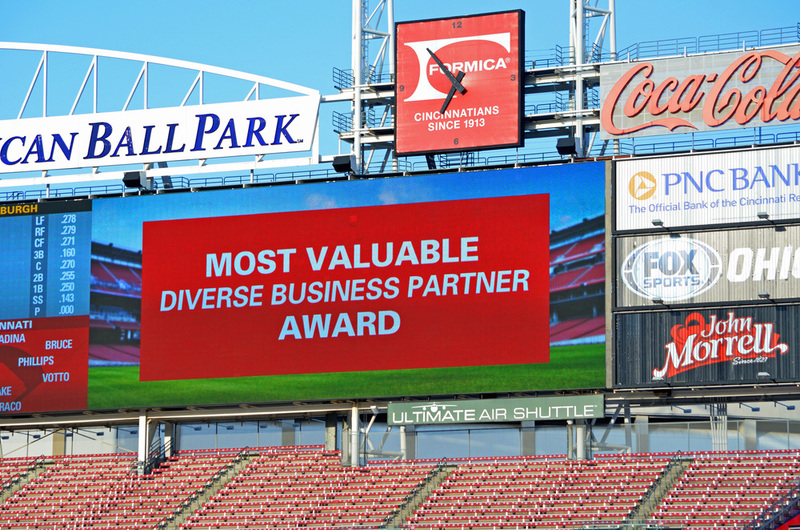 April 21, 2014 Holland & Holland, Inc.
On April 15, 2014, Holland & Holland, Inc. was honored with the 2014 Most Valuable Diverse Business Partner award presented by the Cincinnati REDS and MLB for the Jackie Robinson Day presentation. 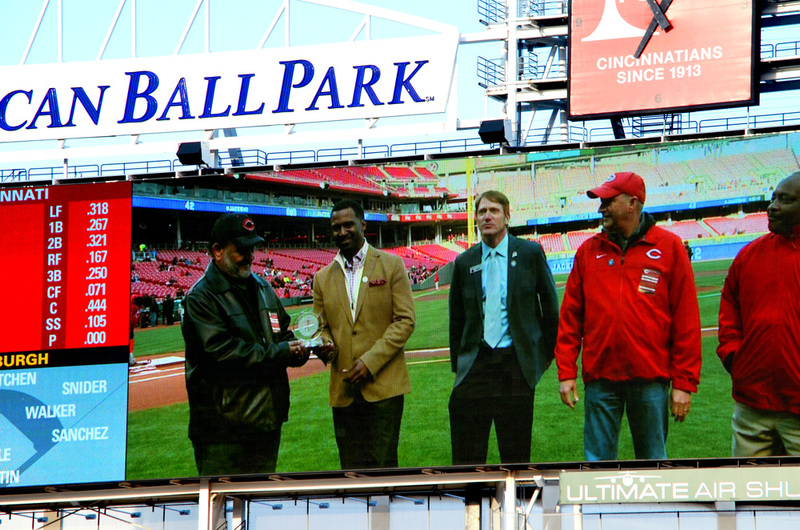 The award was presented in the preshow ceremonies where Chuck Harmon was also honored as the first African American professional baseball player for the Cincinnati REDS. 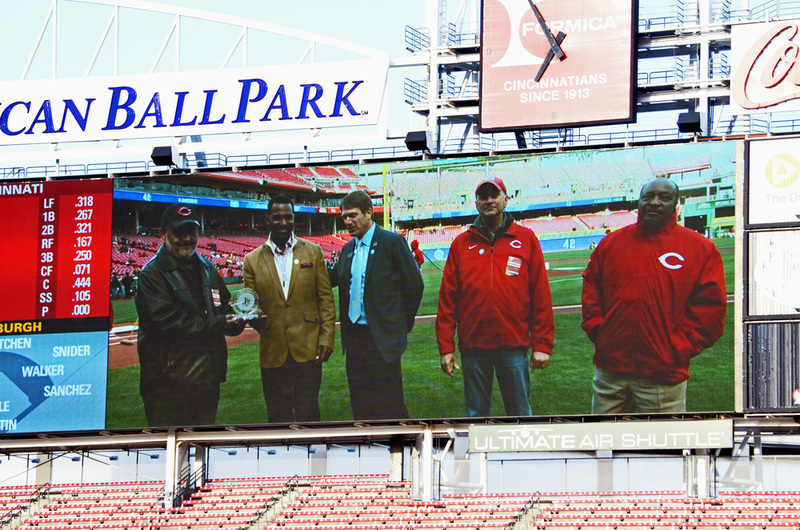 Holland & Holland Inc. was nominated for the award for our work on Cincinnati REDS MLB Urban Youth Academy project work with Kokosing Construction Co.. Kokosing Construction Co., The Plumbers & Pipefitters Local 392 and the Cincinnati REDS wanted to recognize our company for our outstanding hard work and leadership on the project. Company owner and President, Clay Holland and Job Superintendent, Keith Holland were on the field to represent our company. 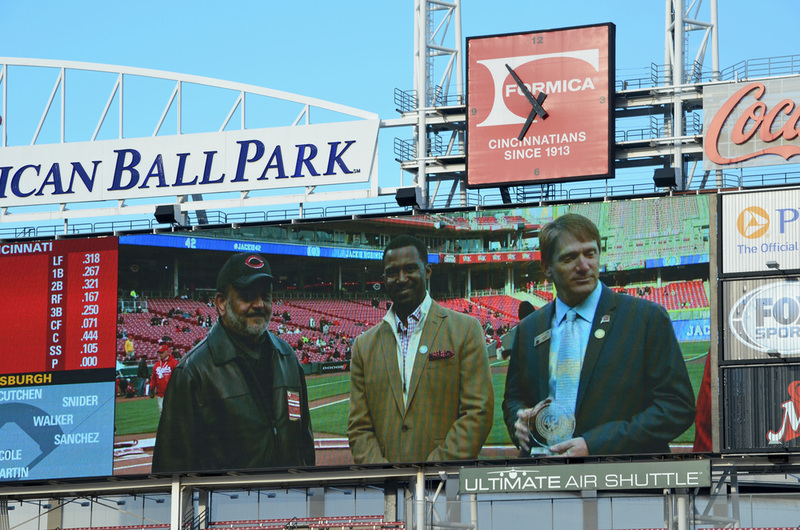 Clay Holland received the award on behalf of the company from Sean Rugless of the African American Chamber of Commerce, Charlie Frank of the Cincinnati Reds, and MLB Hall of Famer and former Cincinnati REDS player, Joe Morgan. 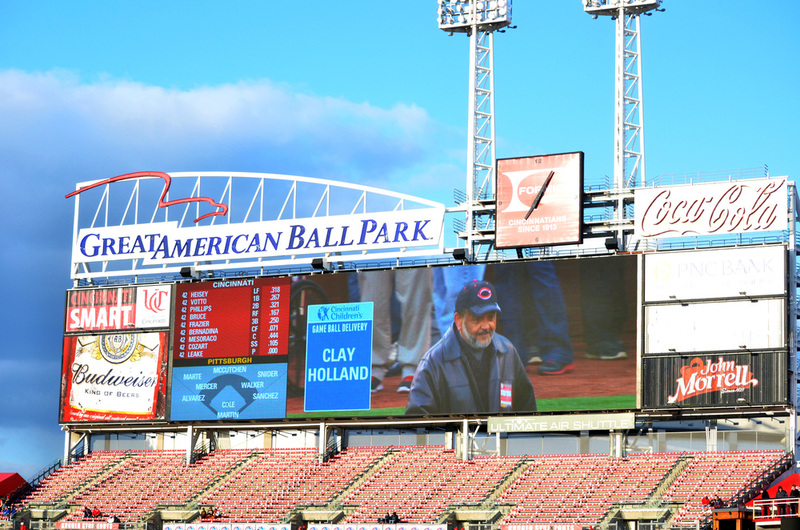 As and extra privilege, Clay Holland was asked to place the game opening ball on the pitcher's mound to start the game. 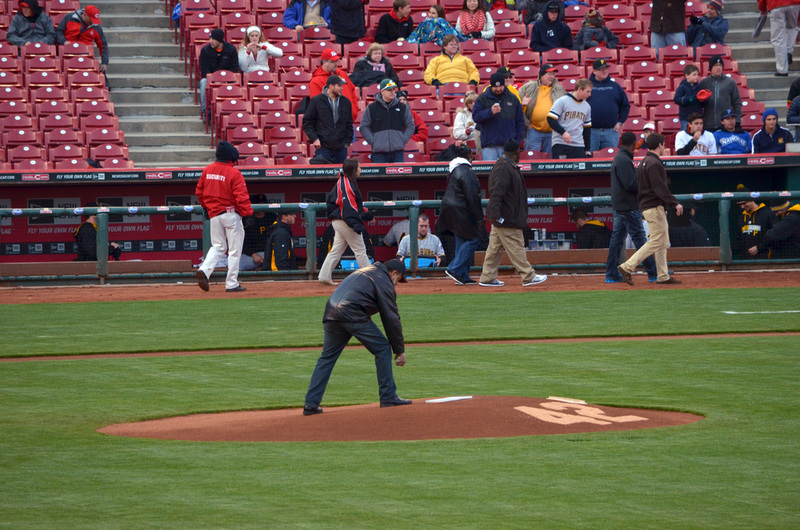 Clay Holland placing game opening ball and resin bad on the pitcher's mound before the start of the game. 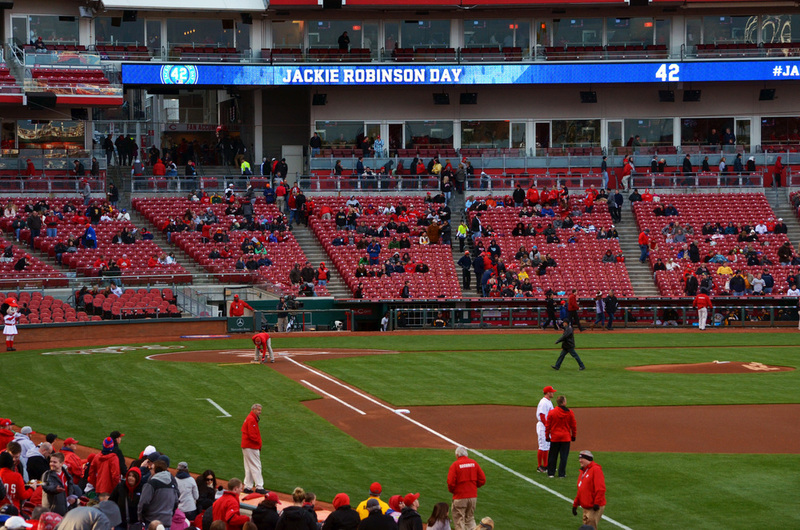 Great American Ballpark April 15, 2014. It was a great night for the company and we invited employees with complimentary tickets from the Cincinnati REDS on the first baseline. Please enjoy the gallery below from the game by clicking on photos to access photo gallery. Clay Holland (Owner and President) on right and Beulina Key Holland (Co-Owner, Secretary/Treasurer, Office Manager) on right. Clay Holland (Owner and President) on left and Keith Holland (Joe Superintendent) on right. Pictured on field Keith Holland (Job Superintendent) and Clay Holland (Owner and President). Pictured on the field Keith Holland (Job Superintendent) and Clay Holland (Owner and President). Clay Holland (Owner and President), Sean Rugless (President of African American Chamber of Commerce) Chris Bain (Kokosing Construction Co.) Joe Morgan (MLB Hall of Famer and former Cincinnati REDS player). Clay Holland (Owner and President) Sean Rugless (President African American Chamber of Commerce) Charlie Frank (Cincinnati REDS), Chris Bain (Kokosing Construction Co.) and Joe Morgan (MLB Hall of Famer and former Cincinnati REDS Player). Clay Holland ( Owner and President), Sean Rugless (President of African American Chamber of Commerce), Charlie Frank (Cincinnati Reds), Chris Bain (Kokosing Construction Co.) Joe Morgan (MLB Hall of Famer and Former Cincinnati Reds Player). Clay Holland (Owner and President), Sean Rugless (President of African American Chamber of Commerce). Clay Holland (Owner and President) Sean Rugless (President of African American Chamber of Commerce) and Charlie Frank (Cincinnati REDS). Pictured on the field Clay Holland (Owner and President) and Keith Holland (Job Superintendent). Clay Holland (Owner and President). Clay Holland (Owner and President) placing opening game ball on pitcher's mound. 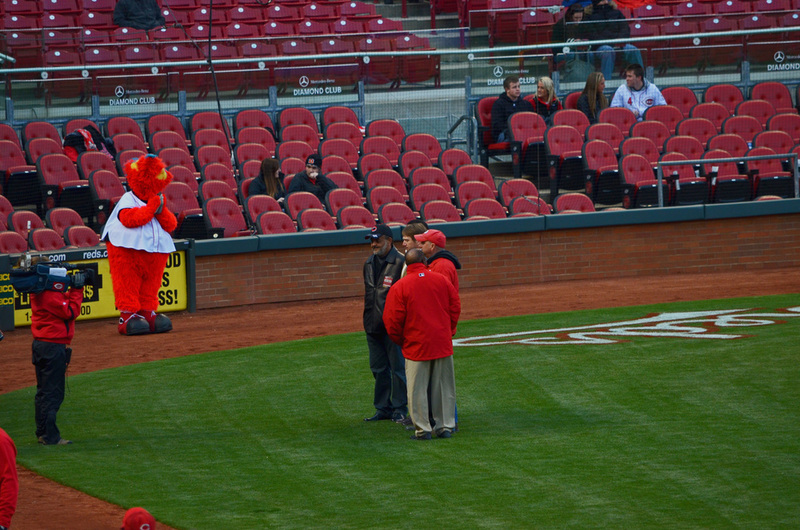 Clay Holland (Owner and President) placing the opening game ball on the pitcher's mound. 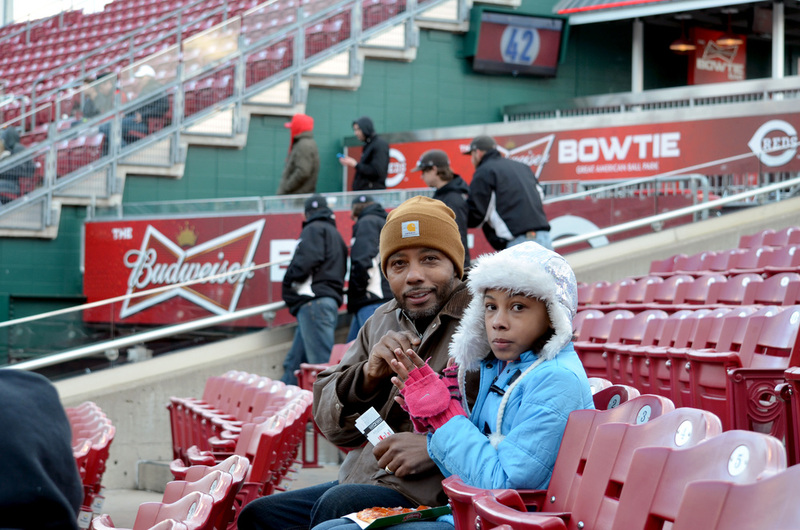 Darrell Barnett (Journeymen Plumber) pictured with his daughter. John Schoenlaub (Journeymen Plumber) pictured with his son. Clay Holland (Owner and President) and Keith Holland (Job Superintendent). Clay Holland (Owner and President), and Keith Holland (Job Superintendent). Clay Holland(Owner & President) Beth Holland (Marketing Manager).